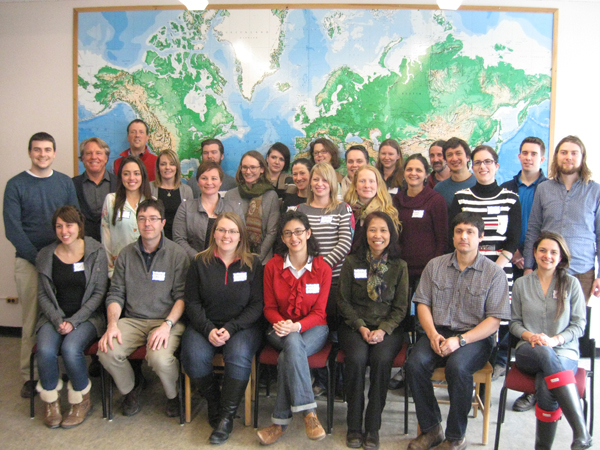 TBTI co-sponsored a workshop titled “The future of marine conservation: Local and global perspectives” on March 12, 2015 at Memorial University, Canada. The workshop was an opportunity to share lessons from various marine conservation and stewardship efforts, including marine protected areas (MPAs), in the province of Newfoundland and Labrador and elsewhere, and discuss a balancing and sustaining way forward. A part of the workshop was designated for discussing a strategy to promote comprehensive and holistic marine conservation and stewardship program in the province. The workshop was also a chance to learn about the Global Ocean Refuge System (GLORES), a new strategic initiative of Marine Conservation Institute, a US-based conservation organization, aiming to advance ocean protection worldwide. GLORES initiative is designed to catalyze strong protection for at least 20% of the ecosystems in each marine biogeographic region of the world’s oceans by 2030. It is a strategic, science-based way to safeguard marine ecosystems and will enable humans to recover marine life for us and future generations. The workshop was co‐sponsored by TBTI and the Marine Geomatics Research Lab. The workshop report will be soon available for download on our website.